Bought a Robocop board from the AO forums. Seller says the jump button didn’t work. 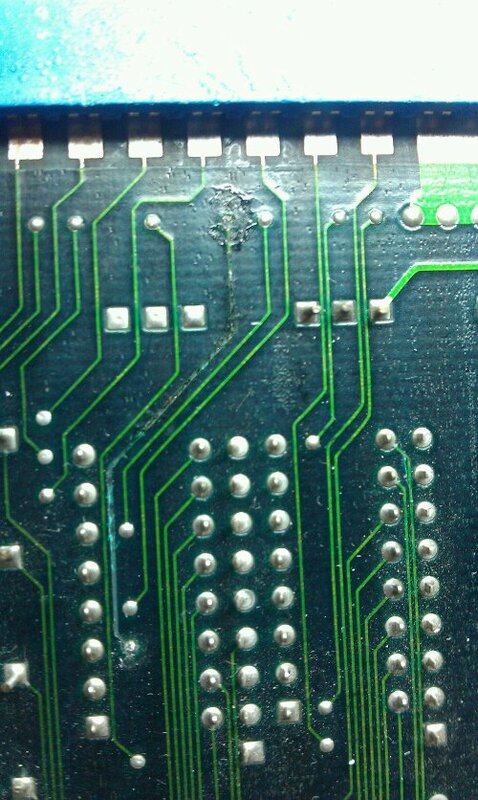 Doing a visual inspection revealed a burnt out track just off pin 23 on the edge connector, which is button 2, in this case, the jump button. I repaired the trace but still no joy with getting the controls back. Further inspection showed that the custom resistor array had burnt out. This resistor array has some modified characteristics compared a normal array, it passes an input out to a different pin and has a few other differences too. As I don’t have any spares of the custom array I decided to use a standard one pulled from a scrap board. To make this work I had to short pins 6 and 7 together and 8 and 9 together. These are for button 1 and button 2. 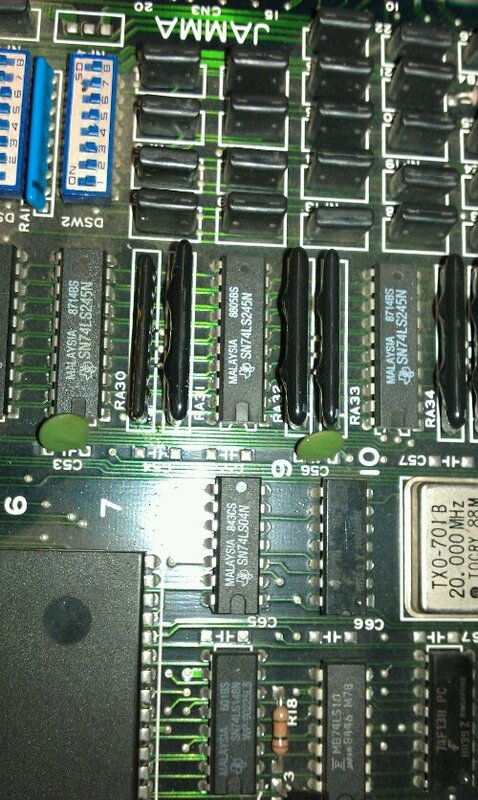 The board is now fully working but ill keep an eye out for an original replacement part to fit.